Posted on July 4, 2017 at 6:30 am. Turkish Internet cafes will face fines if they allow access to gambling sites. The Turkish government is in the process of implementing a plan to wipe out illegal gambling, both online and off. Countries all over the world are looking into either regulating online gambling or wiping it out completely and now it’s Turkey’s turn. According to local media outlet, Daily Sabah, the Turkish government is in the process of a crackdown against illegal gambling. In a bid to wipe unauthorised Turkish online gambling sites and illegal gambling dens, the government has devised a two-year plan to infiltrate the operations. Implemented by the Interior and Justice Ministries in coordination with the Revenues Department and the local police, the plan will involve shutting down illegal operations as well as an awareness program targeting teenagers. The team carrying out the 24-month plan has not yet been established, but it will be headed by a special prosecutor as well as members from regulatory agencies including the Financial Crimes Investigation Council (MASA). The team will also utilise the country’s banks and telecommunications systems in order to hand out the harsh penalties reportedly intended for offenders. First on the agenda is online gambling sites. 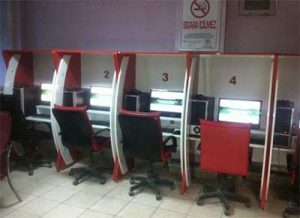 Even internet cafes which allow Turkish players access will face hefty fines. Local Turkish sites which advertise gambling operations will also be shut down. Search engines will be monitored and warned if any users are directed to Internet gambling sites via adverts – the tactic follows the recent blocking of Google by Russia over a tax dispute. Although players won’t face punitive measures they will have their payment methods, including unique options such as Bitcoin, blocked via the Banking Regulation and Supervision Agency (BDDK). The Revenues Department and Information and Communication Technologies Authority (BTK) will also send out text messages to Turkish nationals attempting to access these sites. A gambling campaign to educate the youth on gambling will be undertaken, with Internet cafes required to hang posters warning against the activity. When it comes to land-based operations, prepare for many to be shut down as the team will seize dens and houses hosting illegal gambling games as per the government’s request. Legislators also plan to close loopholes which the illegal gambling dens use to reopen after they have previously been shut down by local police. This isn’t the first time the Turkish government has gone on an anti-gambling crusade. In 2014, a report revealed Turkey had blocked 110 gambling websites in a five-year period. This followed the government passing a law which made online gambling illegal in 2007. Land-based casinos have been banned in the country since 1997 and Turkey’s President, Recep Tayyip Erdogan, even tried to shut down brick and mortar venues in Georgia too. He said he wanted them gone to prevent Turkish nationals from crossing the border to gamble. However, his attempt failed since casinos contribute a lot to the Georgian economy. At the time of writing, the authorised gambling options available in the country are quite limited. Turkish citizens can place sports bets via the state-run SporToto bookmaker and participate in the Milli Piyango lottery.